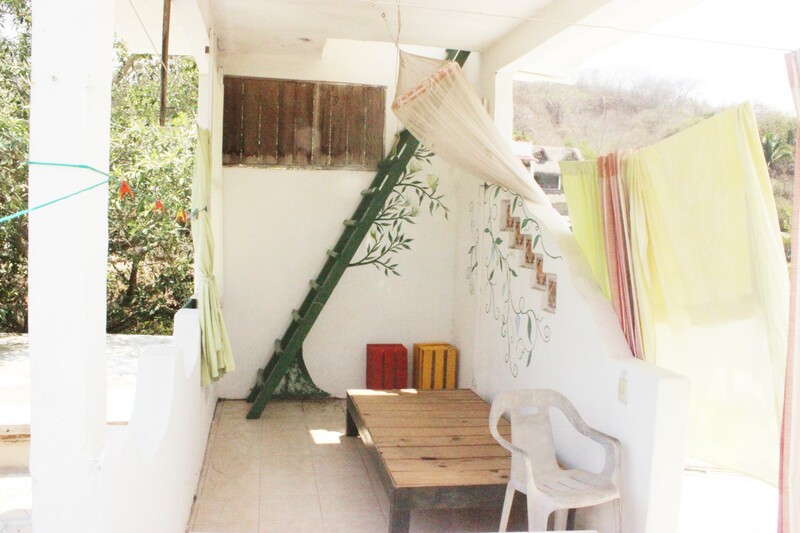 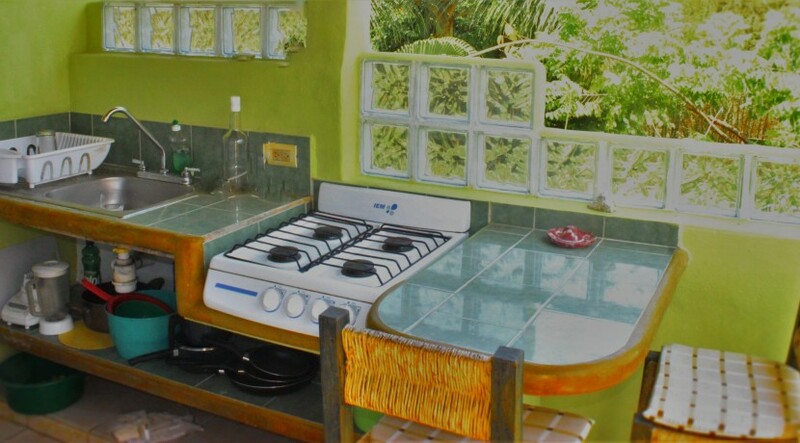 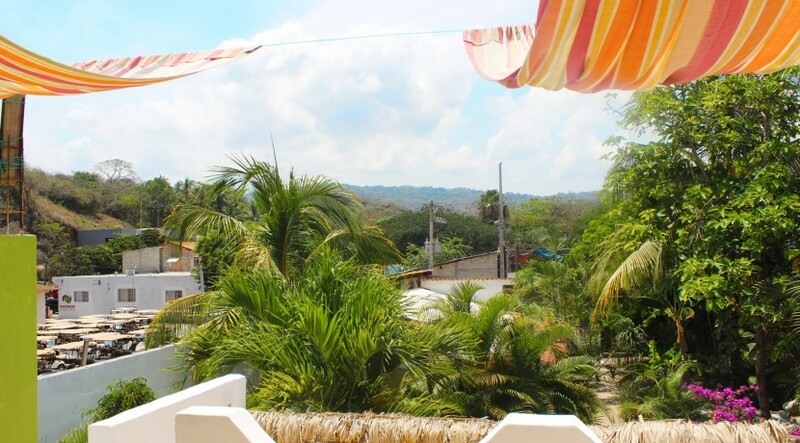 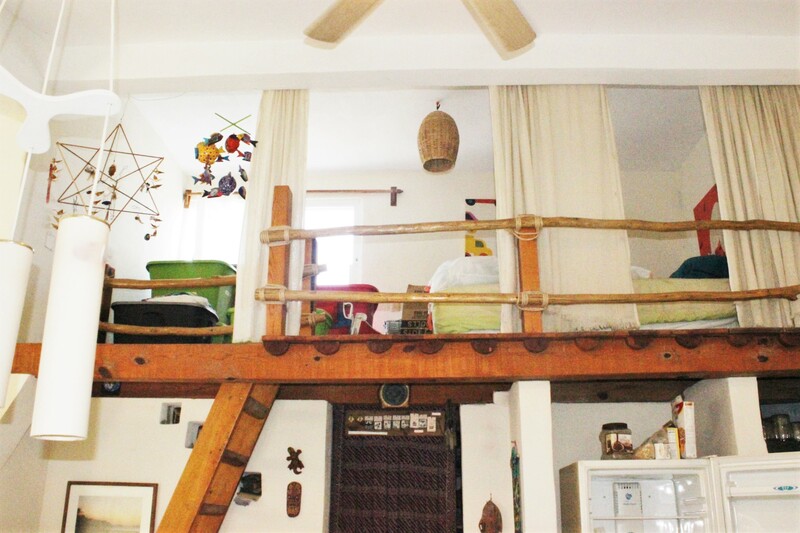 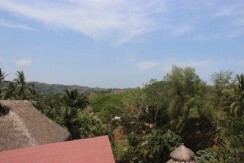 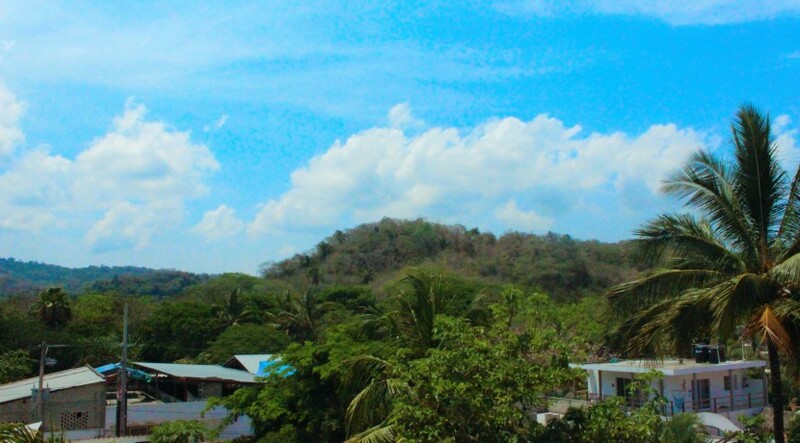 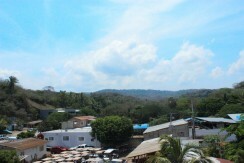 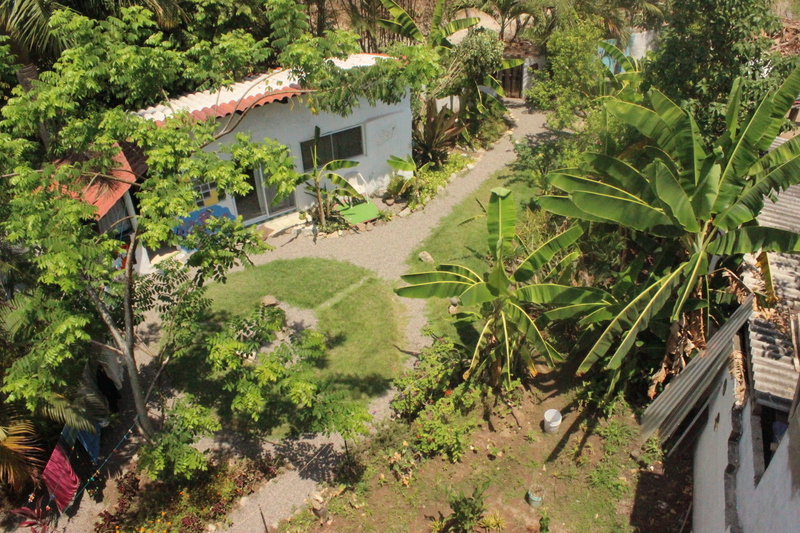 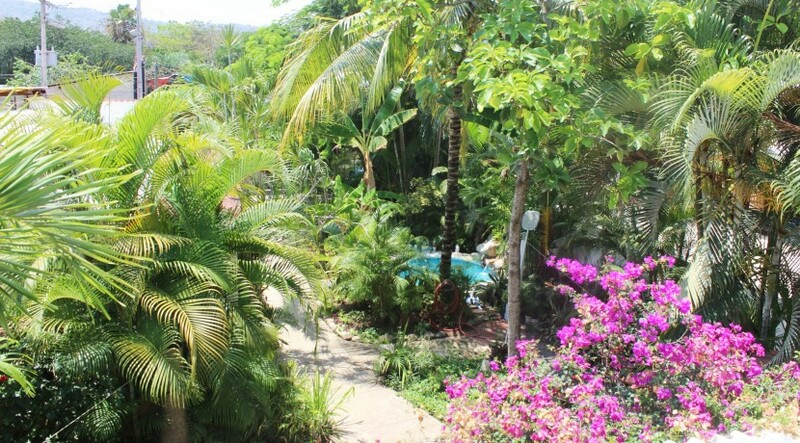 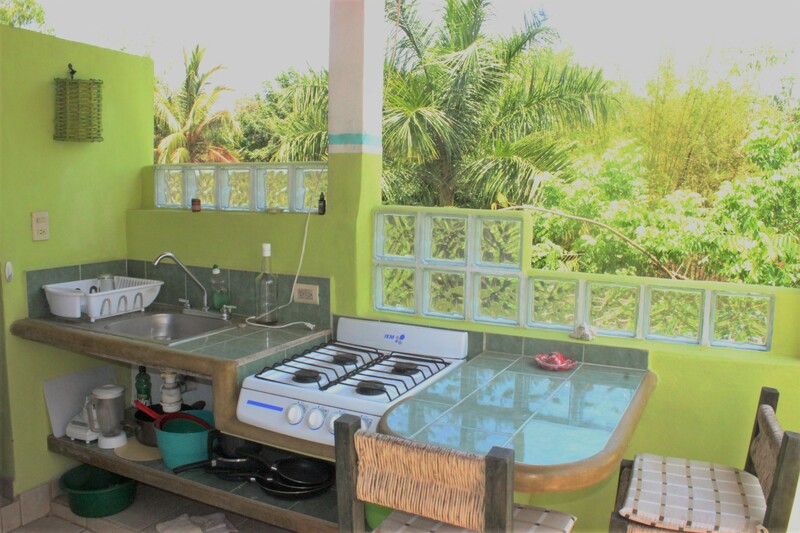 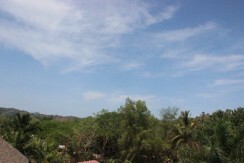 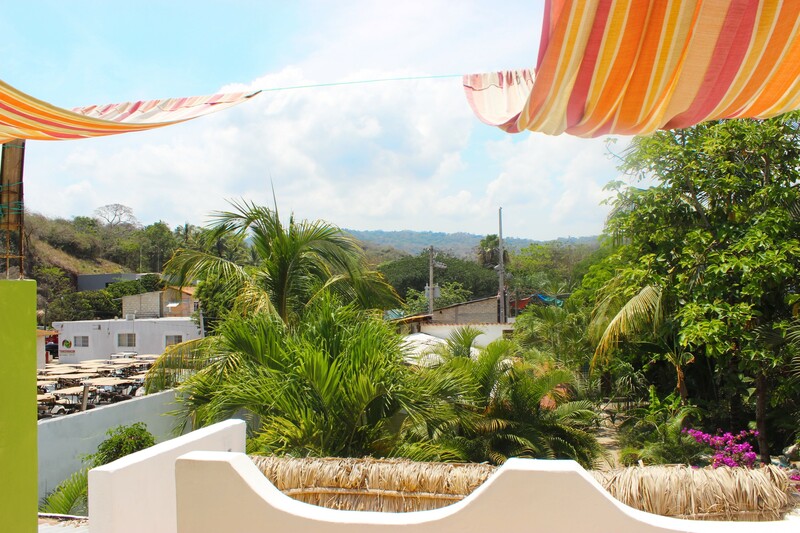 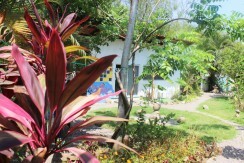 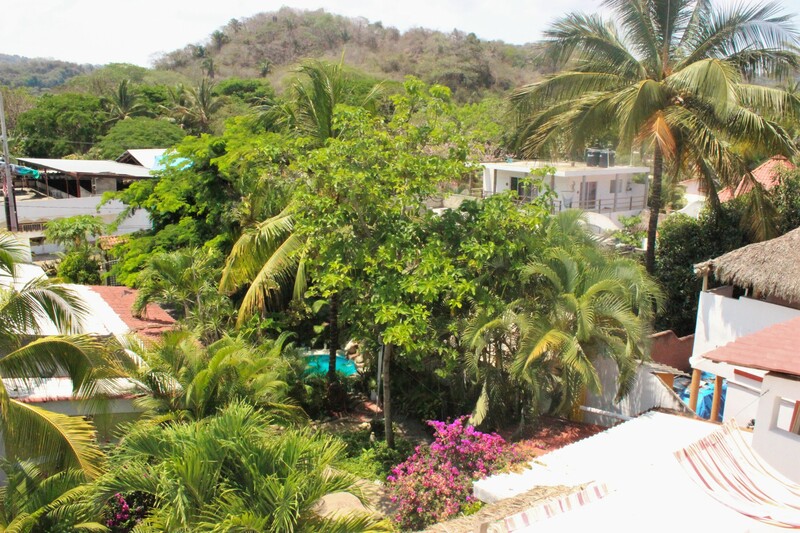 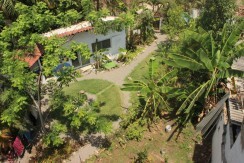 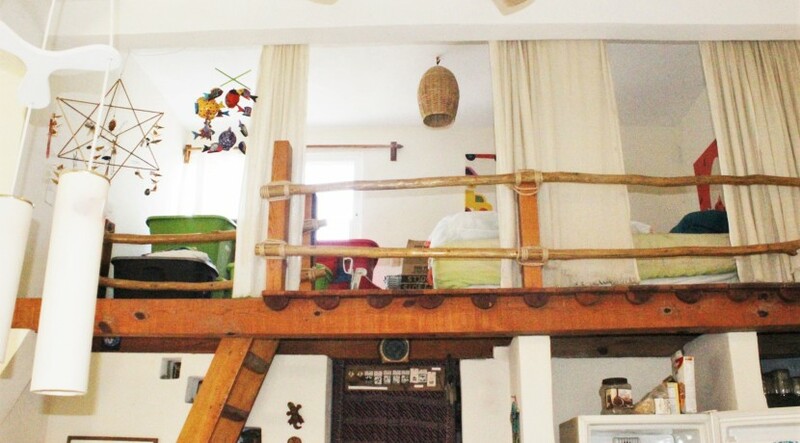 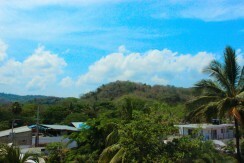 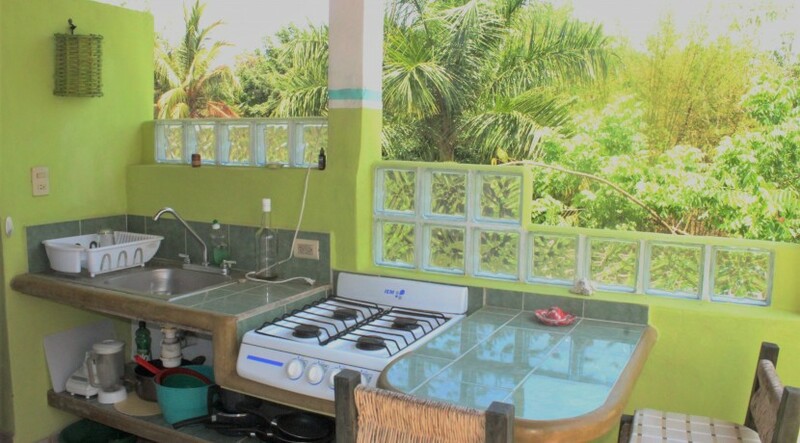 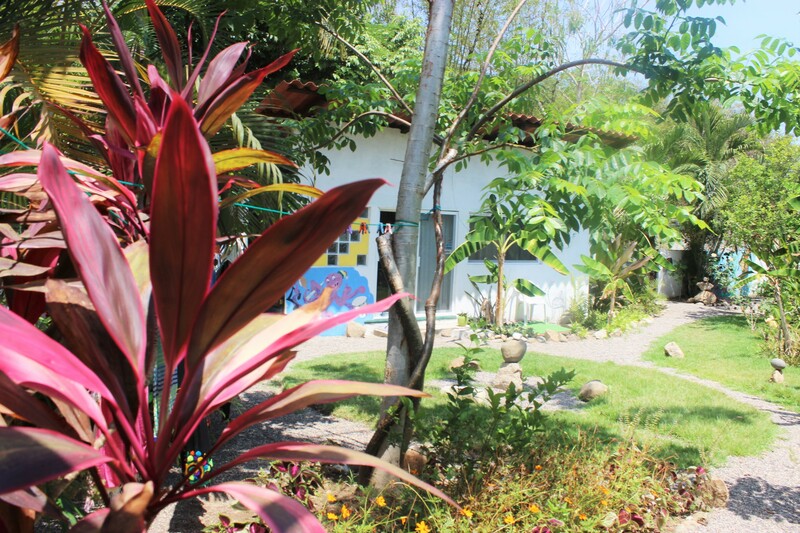 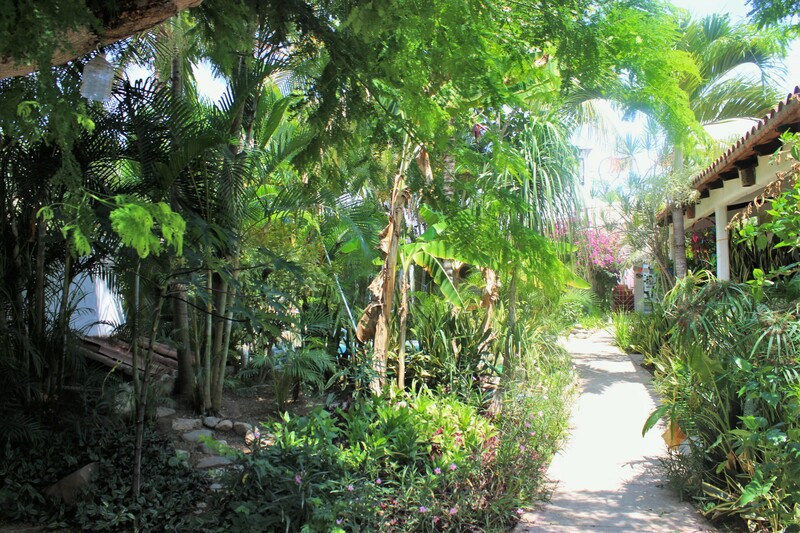 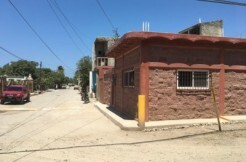 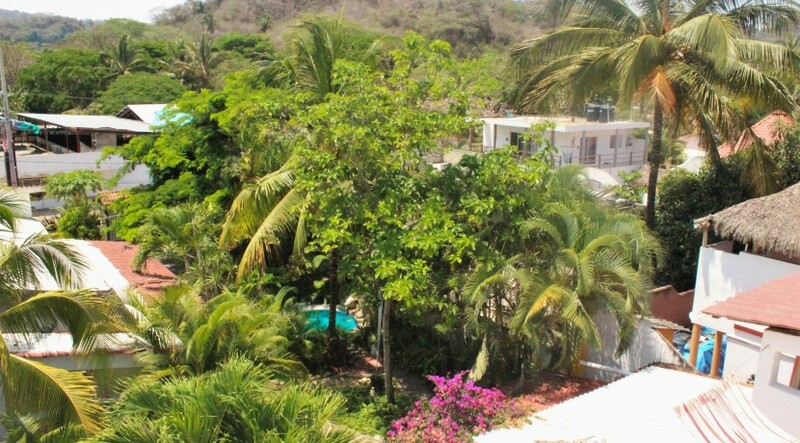 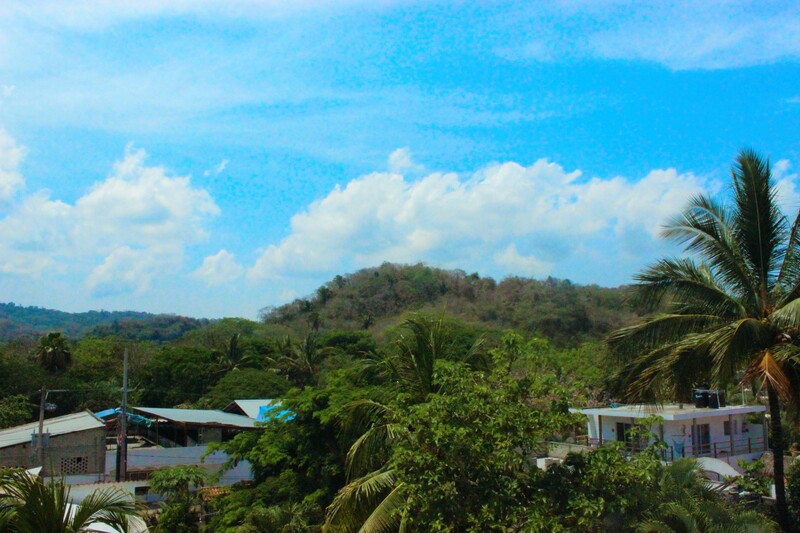 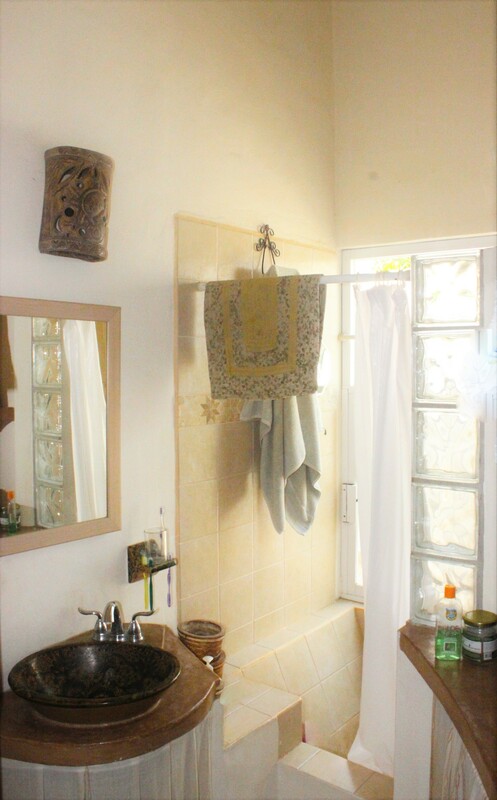 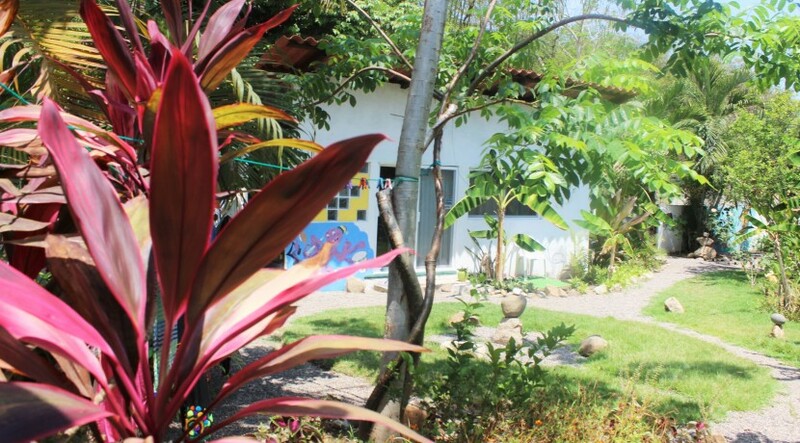 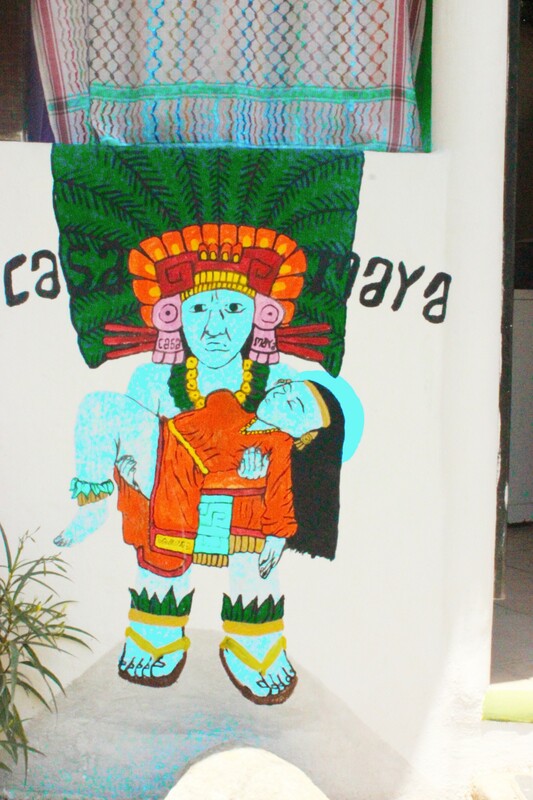 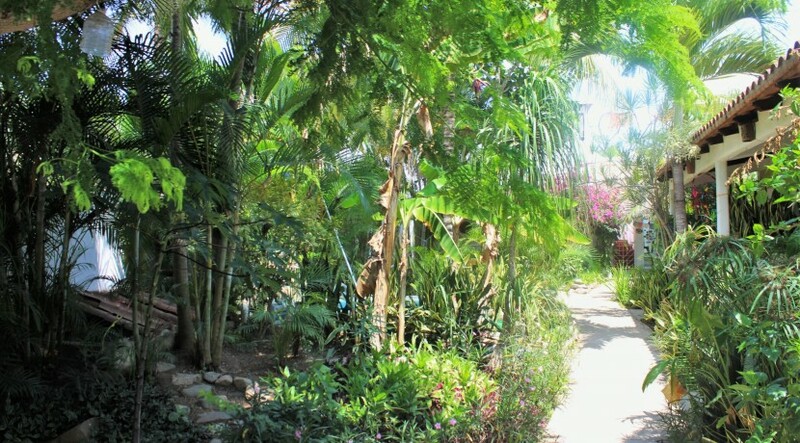 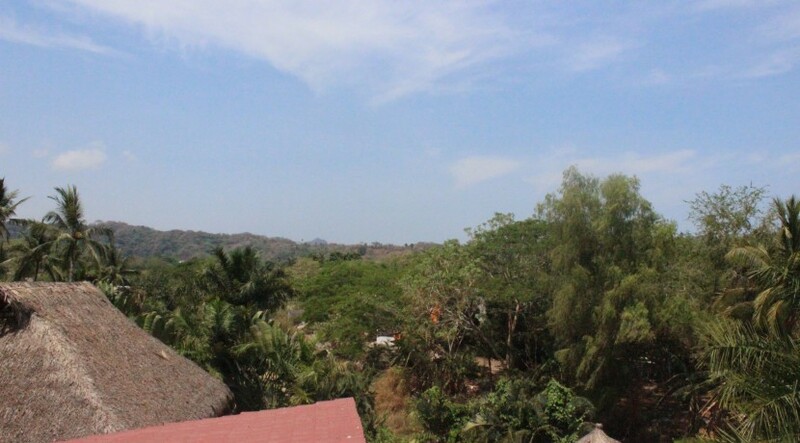 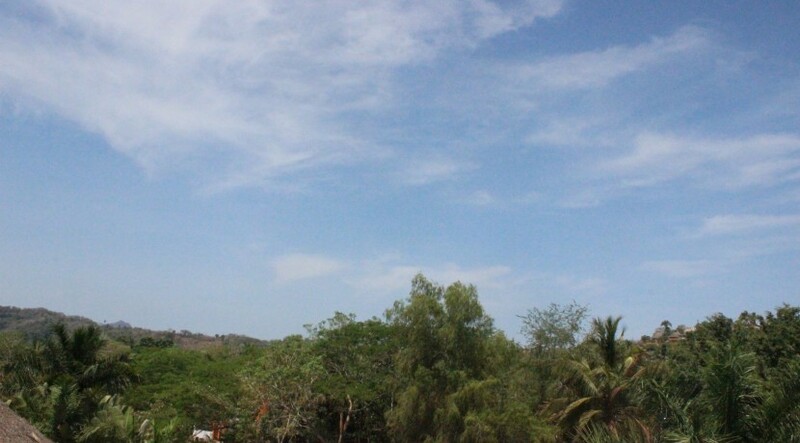 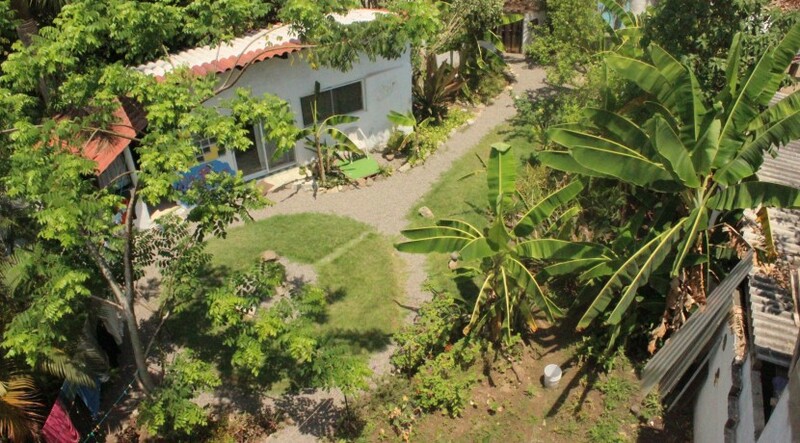 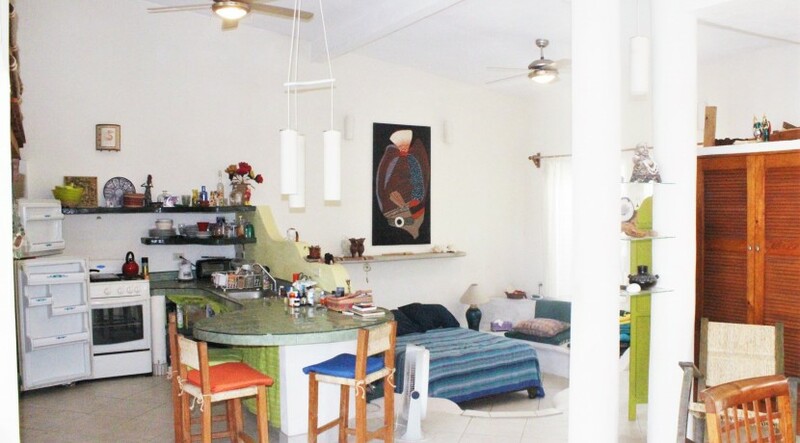 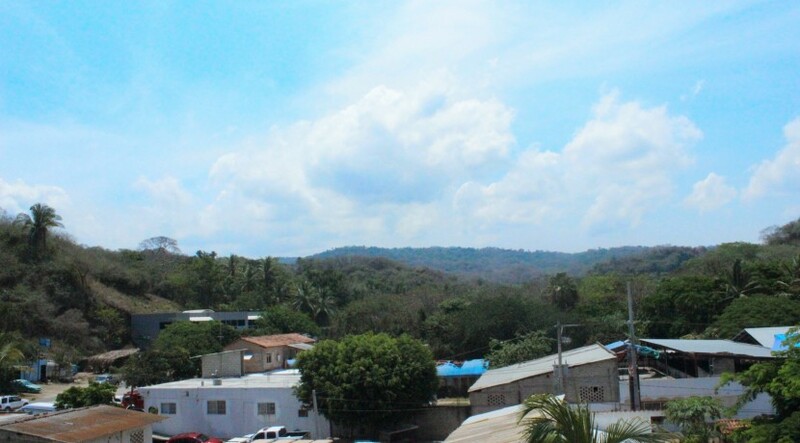 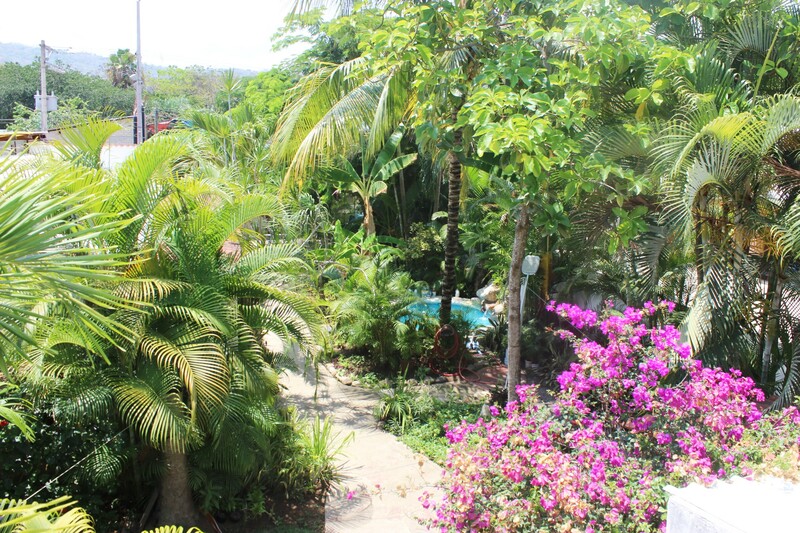 Casa Maya del Sol sits on 843 Square Meters (9070 Sf) lot is located at the north side of Sayulita has six awesome living spaces situated between a spacious garden . 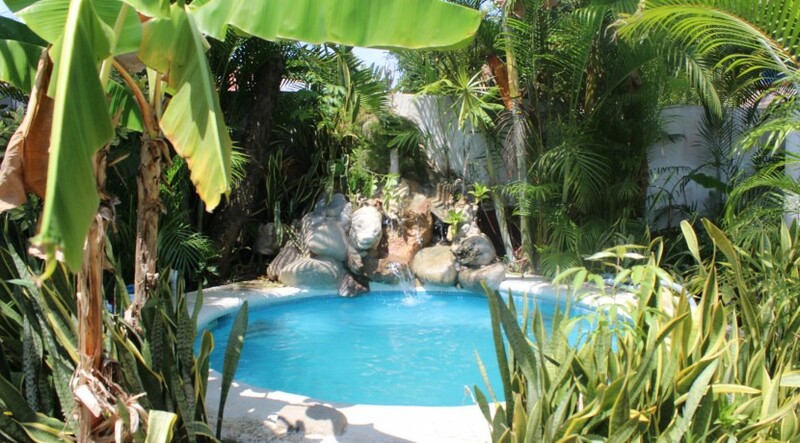 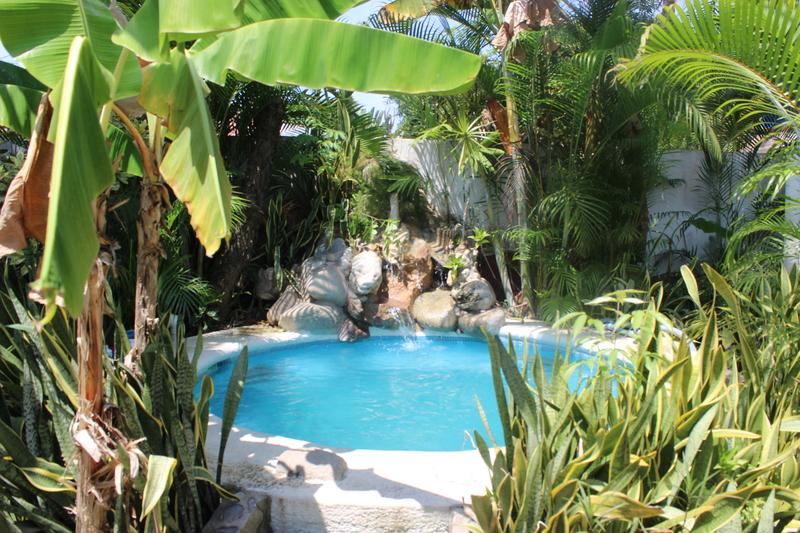 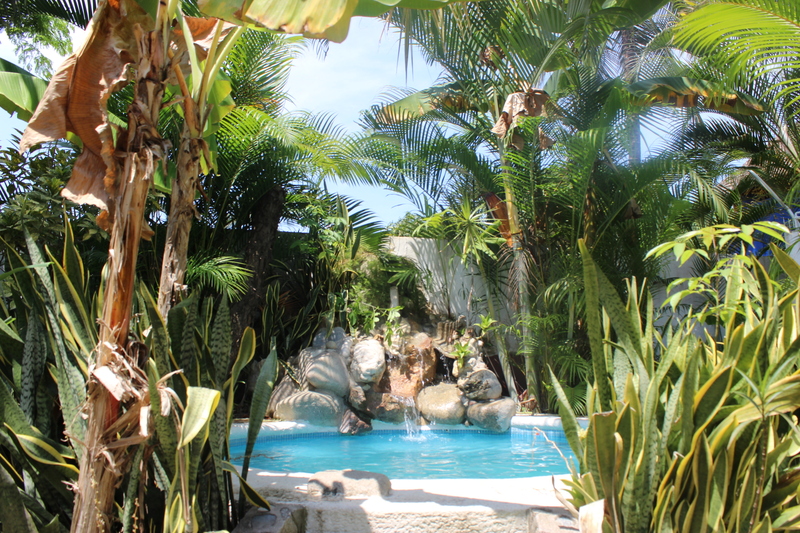 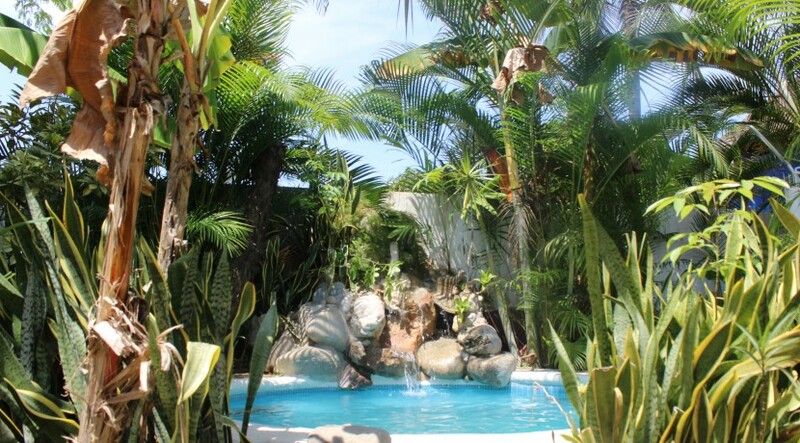 A pool/jacuzzi that invites you to relax while you watch the beutiful yard and the magnificent parota tree. Each bungalow has a private entrance with a patio surrounded by flowers trees and more that makes a complete landscape.Three of the bungalows are a part of a larger house that sits at the back of the property.They have artistic decorations inspired by Mayan architecture, the high ceilings creat good air flow and perfect lihgt to the ambiance. 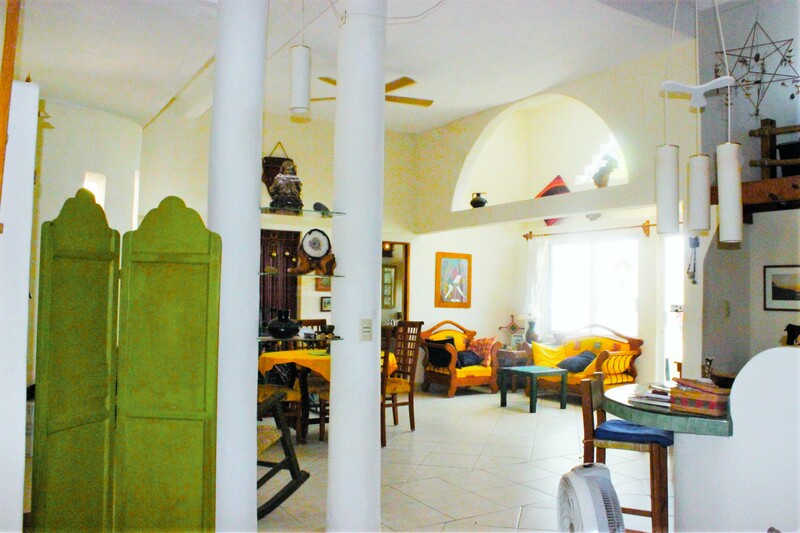 The upper level has a terrace with views of the hills and gardens that surround the area and consistent breezes from the sea. 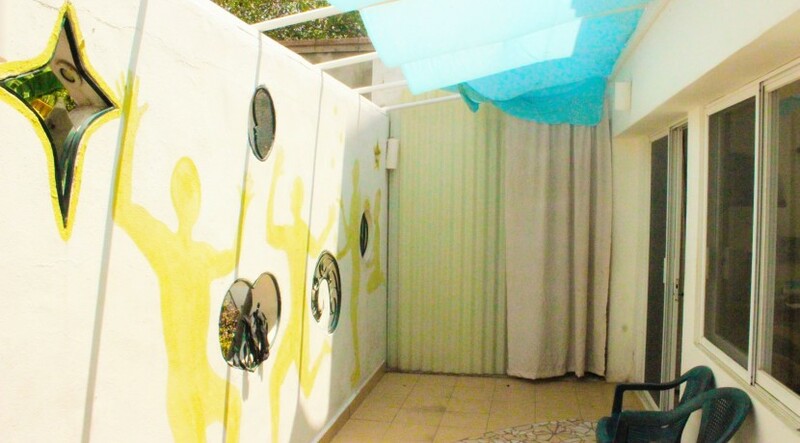 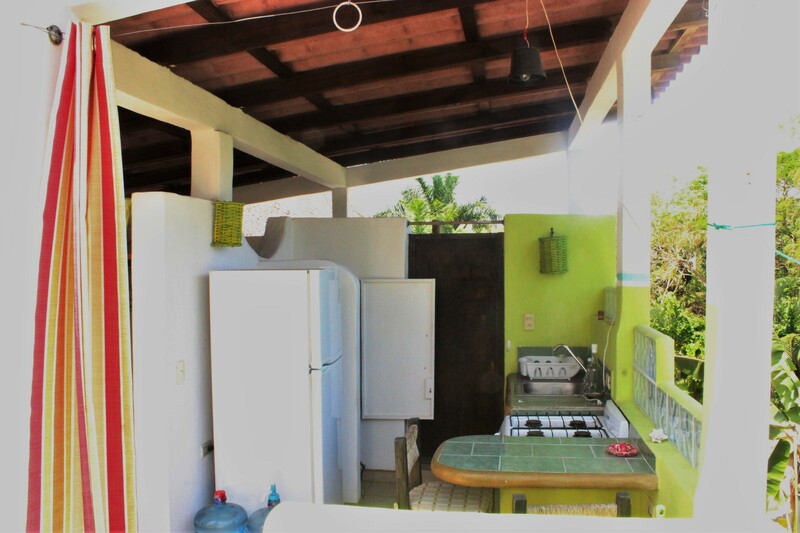 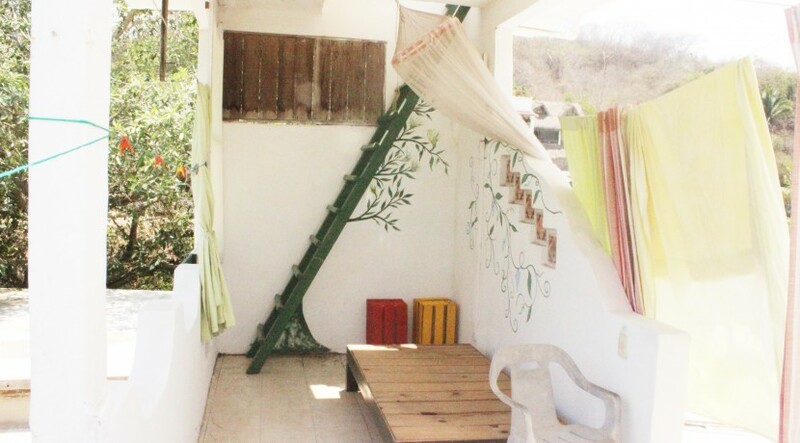 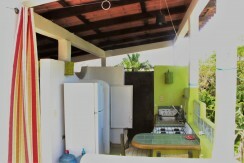 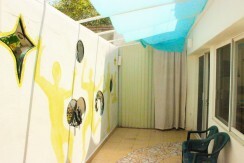 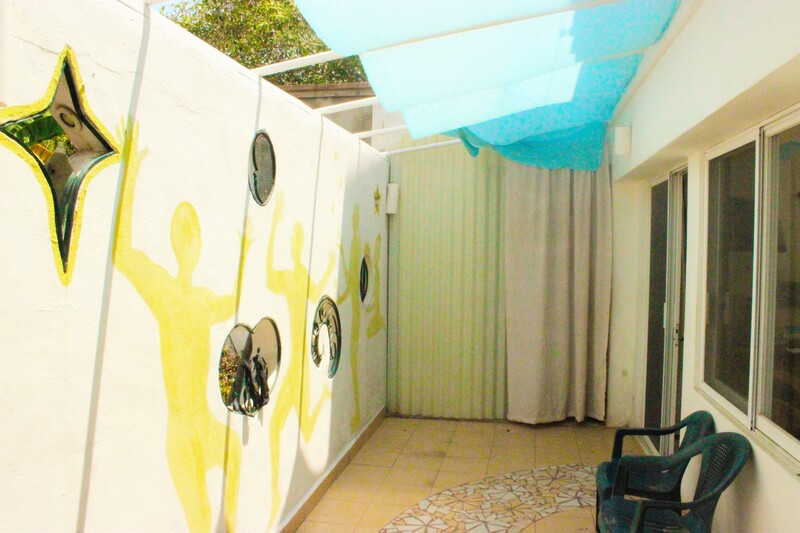 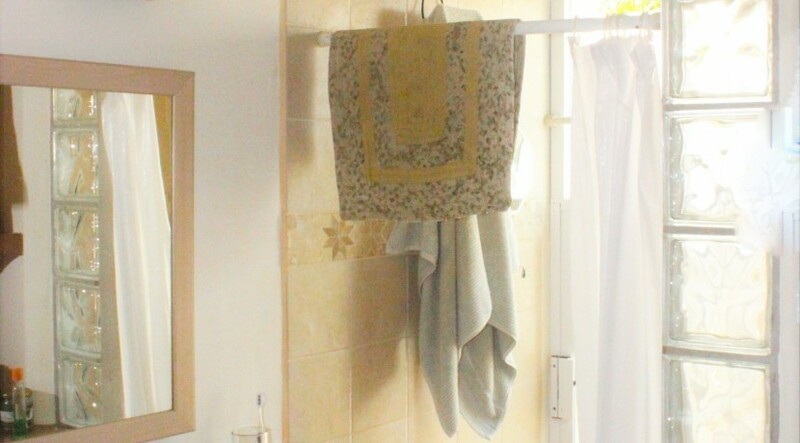 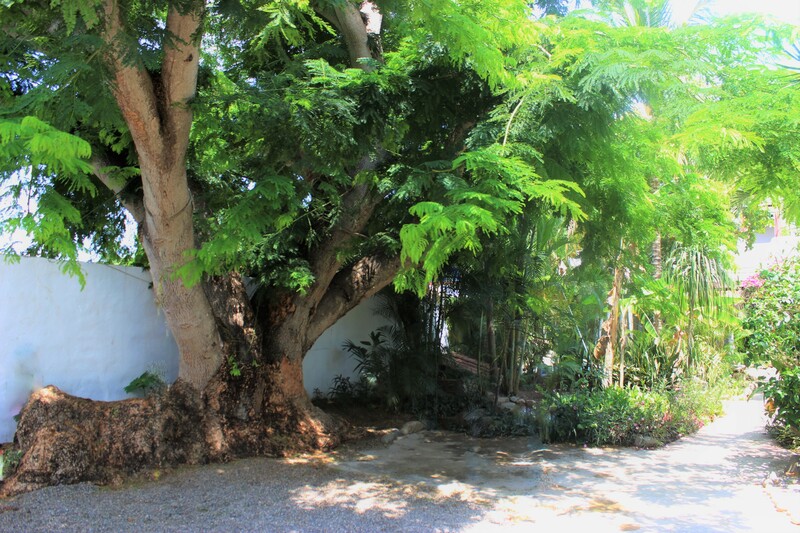 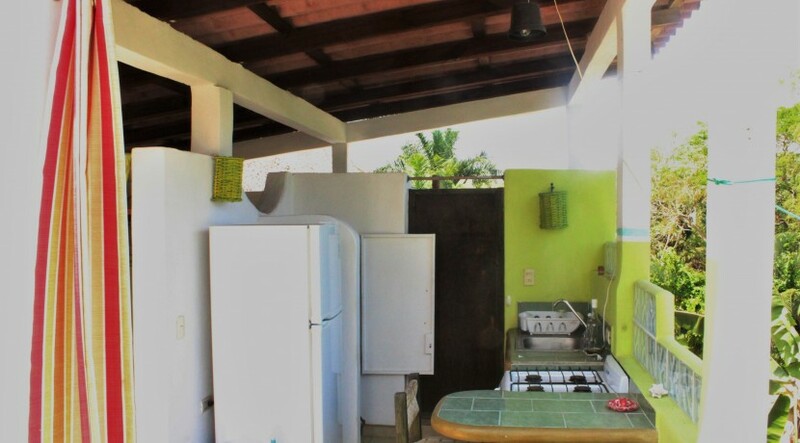 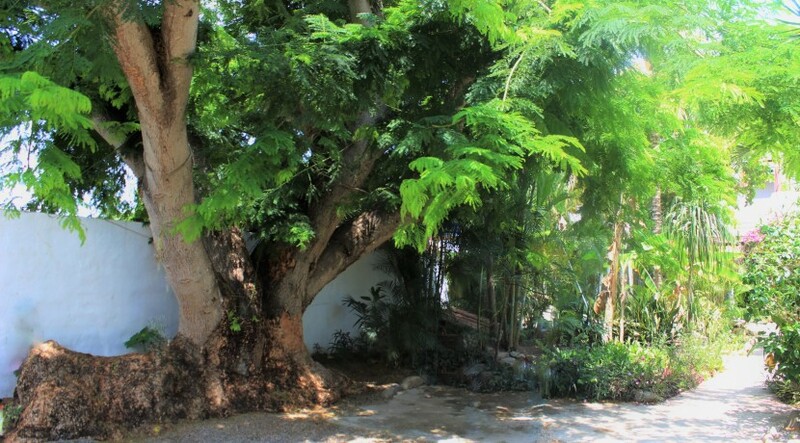 There are three bungalows along the pathway, two of them are studios with large patios overlooking the pool and the third offers one bedroom with a kitchen and living area in the shade of the magic parota tree. 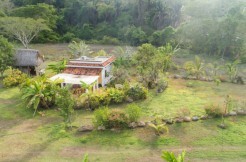 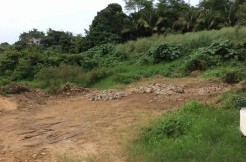 There is great potential to add on or to create a boutique hotel, a bed and breakfast or your own community. 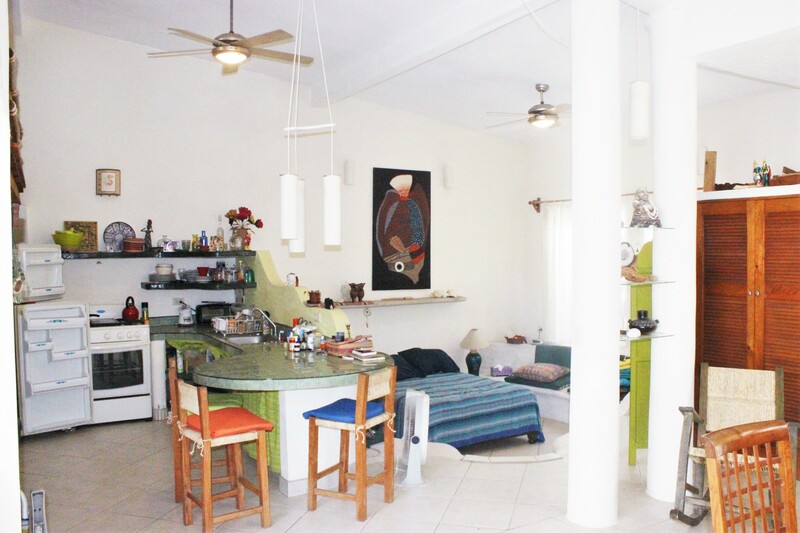 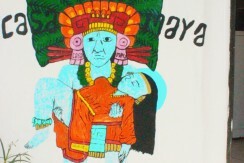 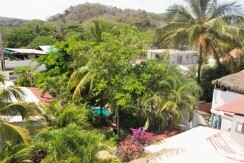 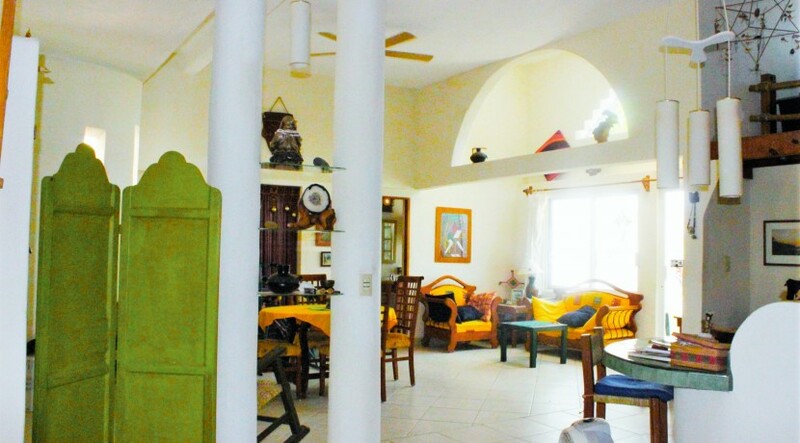 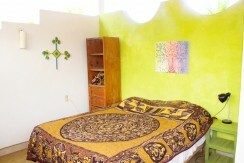 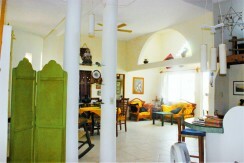 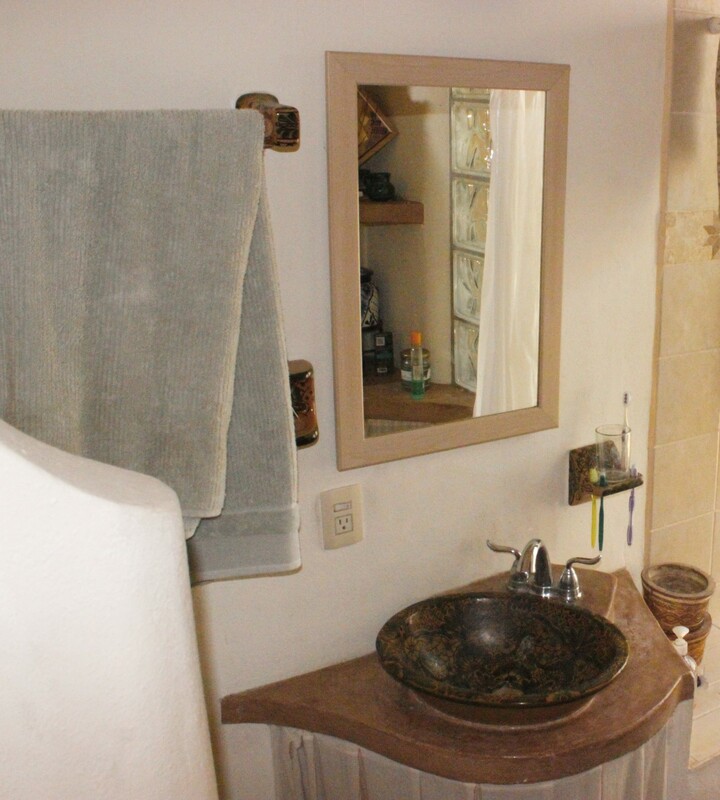 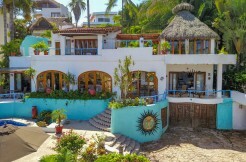 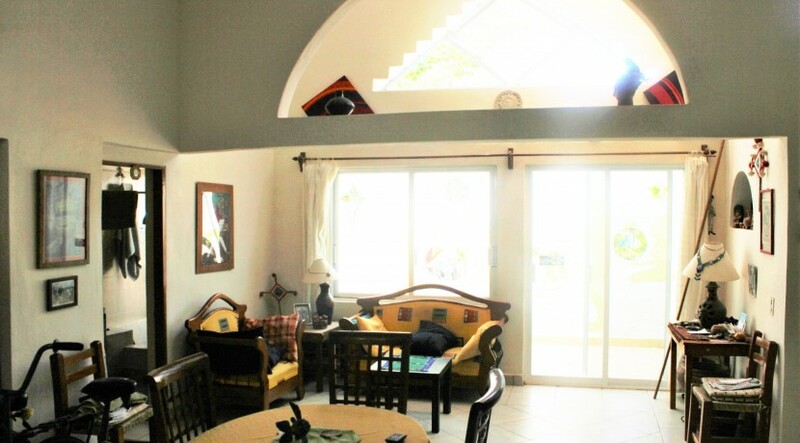 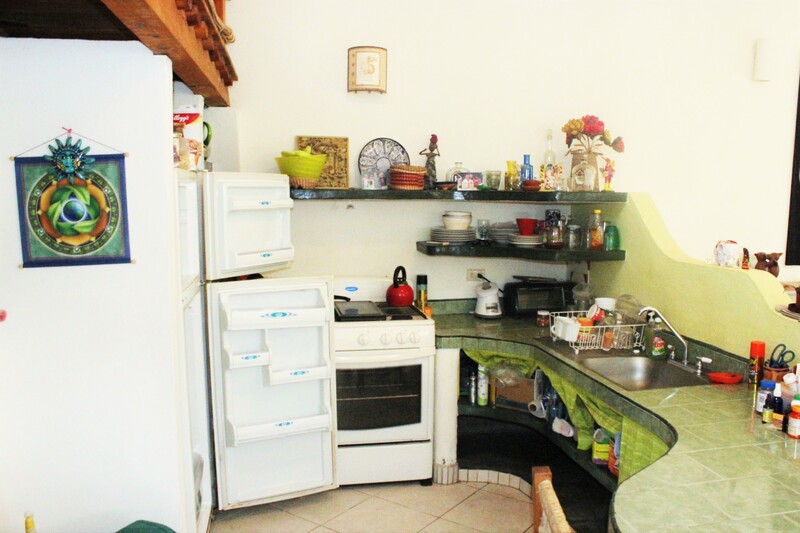 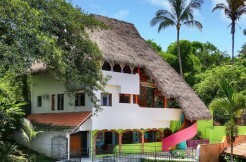 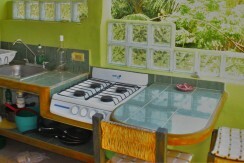 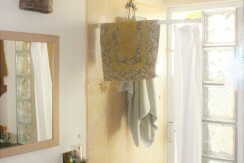 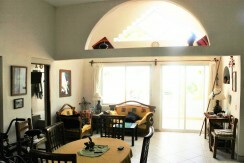 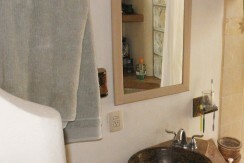 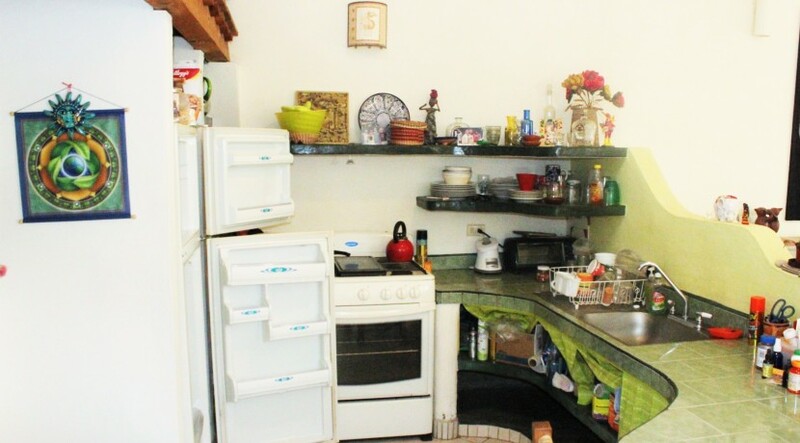 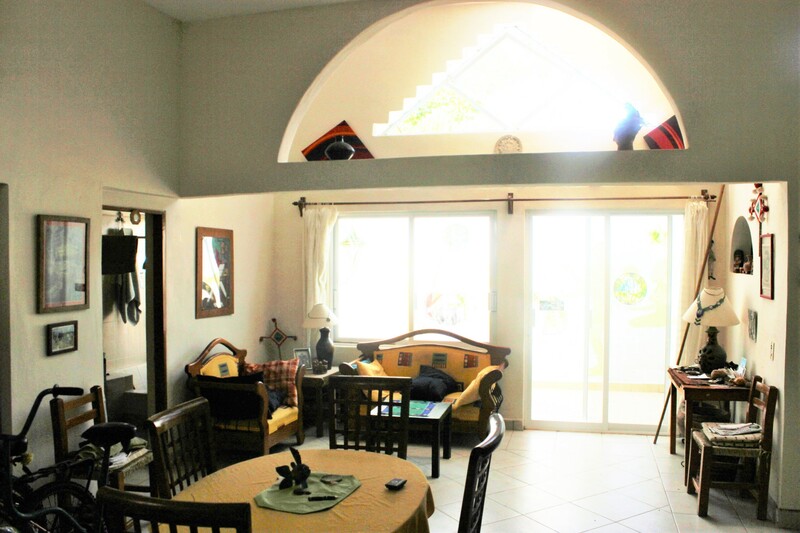 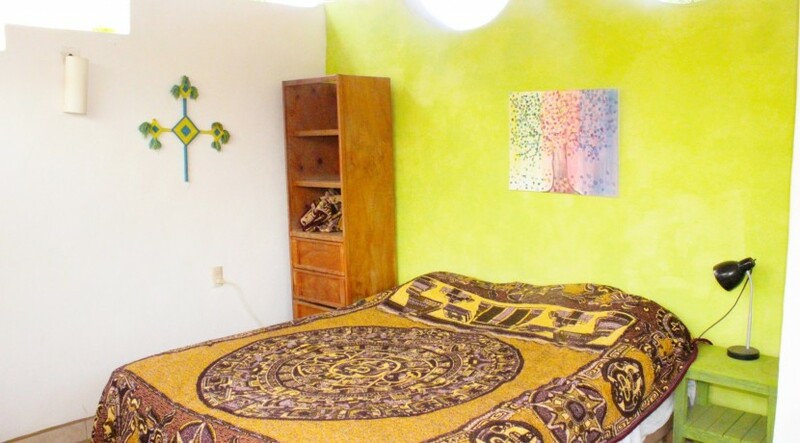 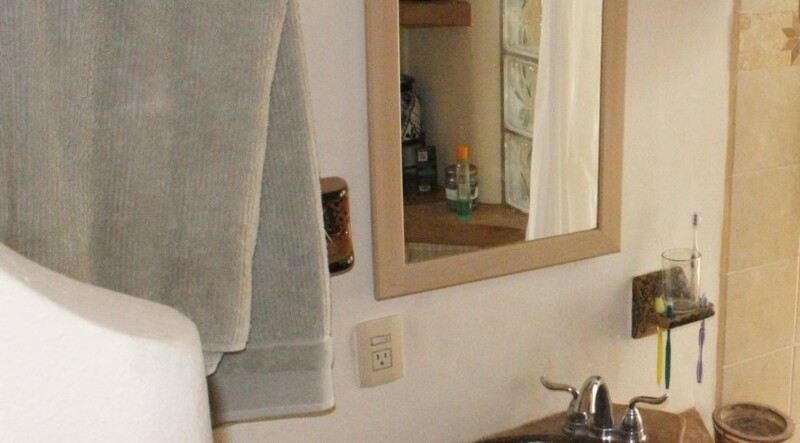 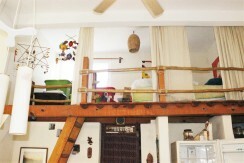 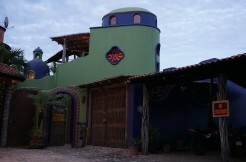 Casa Maya del Sol has a great rental history with return clients year after year.